Damen Crane Barge and Anti-Pollution Barge delivered to Bin Nowiran for Trading & Contracting Co.
Damen Shipyards Sharjah delivered two barges, a Crane Barge 4920 and an Anti-Pollution Barge 2405, to BINCO, a leading contractor in the Middle East with over 30 years of experience and active in various sectors such as Marine, Pipeline and Oil Tanks, Light and Heavy Vehicle Contracting and Industrial Services. 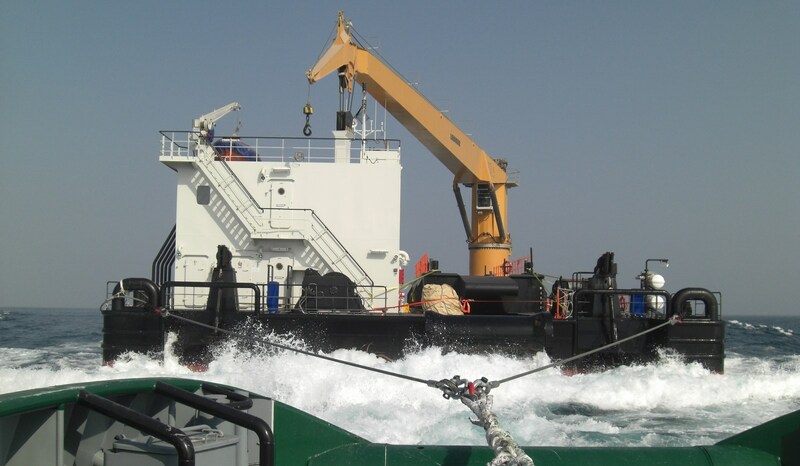 This contract marks another milestone in the established relationship between BINCO and Damen and aims to strengthen services towards Saudi Arabian Chevron, Khafji Joint Operations and other business partners. Having previously acquired two Damen Stan Tugs 1605 and one Damen Stan Tug 3509, BINCO’s choice to return to Damen was a combination of the wide range of products on offer as well as Damen’s capacity as a complete package supplier in the region. 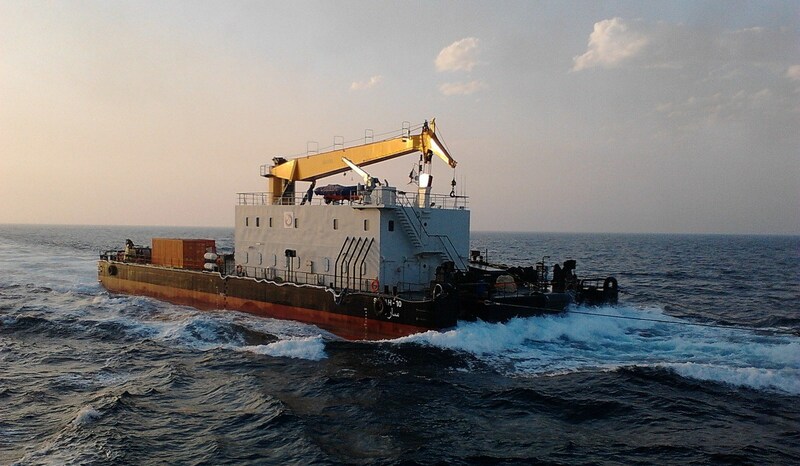 The Crane Barge 4920 is a heavily constructed, modern, non-propelled barge, custom built for BINCO with a four-point mooring system, a deck crane and free working deck space. Damen barges have a high deck load capacity and are suitable for a wide range of working environments. They can be completely custom-built and designed to accommodate to their purpose and usage. The barge will be used for maintenance and repair jobs in the oil and gas industry, mainly for floating pipelines. In addition, the barge will be providing modern crew accommodation and facilities. 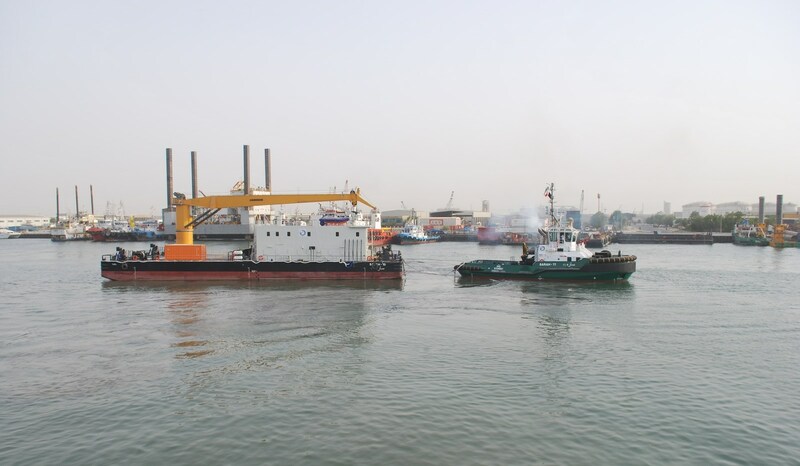 While the crane barge is designed to clean and repair pipelines, the simultaneously purchased anti-pollution barge, will be utilised to contain excess oil pouring out of the pipeline. Both vessels will be deployed for SPM operations and maintenance work; on inland waters, in harbours, deep sea and estuaries. The crane barge will be the biggest vessel in BINCO’s fleet to date. 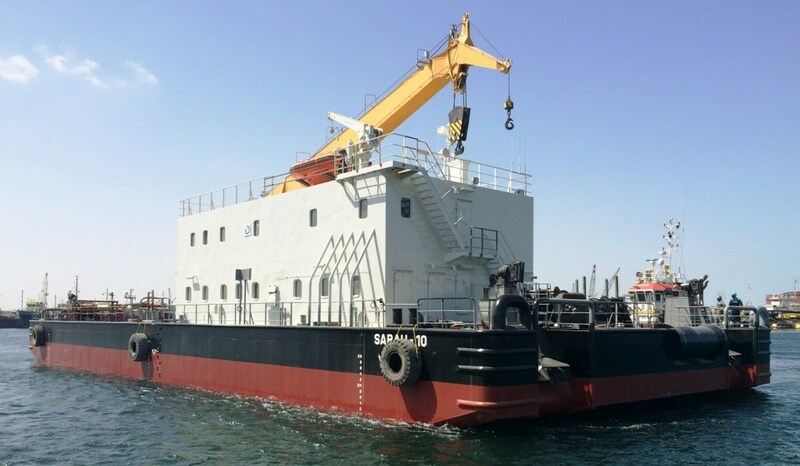 Another advantage for BINCO was the location of Damen Shipyards Sharjah (DSSh) in the United Arab Emirates (UAE), in the Sharjah Hamriyah Free zone. DSSh is ideally positioned for easy access to all seven Emirates as well as providing connections to nearby Gulf States closer to the Straits of Hormuz having a substantial impact with regards to transportation costs. Located on a 284,000-m² site, the yard is equipped with a 5,200tonne ship lift with a platform dimension of 120m x 26.5m, together with eight dry berths, a fully enclosed blasting and painting facility. The newly built construction sheds total 4,500 m² and additional workshops covering 7,500 m² for the various trades active on the site. 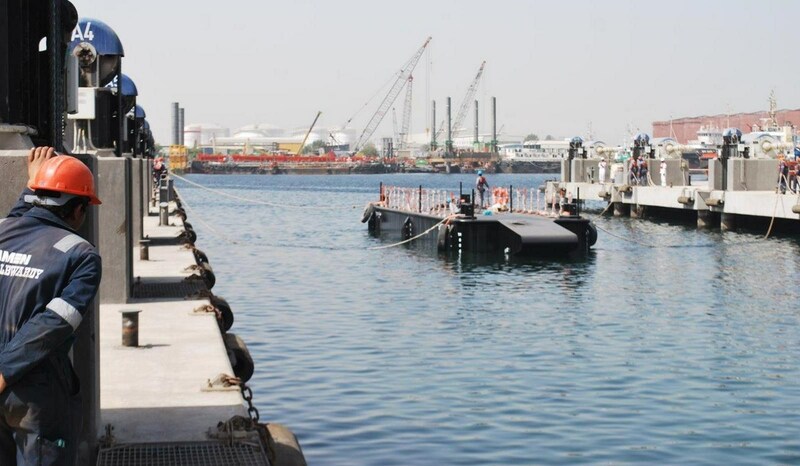 This state of the art shipyard is ideal for providing services in the Middle East and beyond.